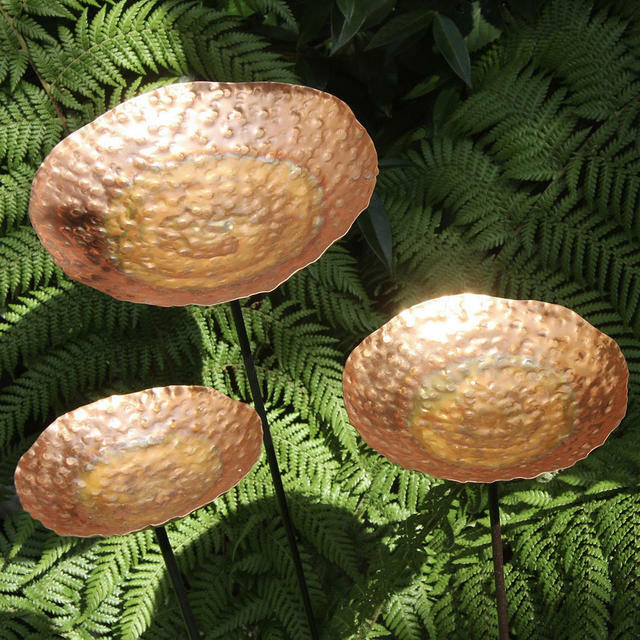 Gorgeous garden art to catch raindrops and sunlight. 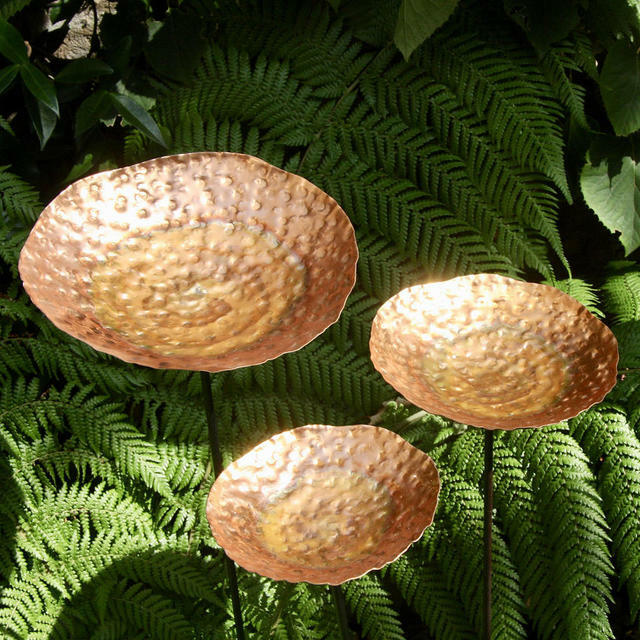 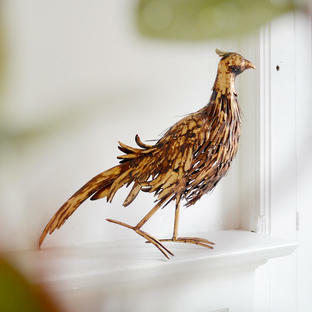 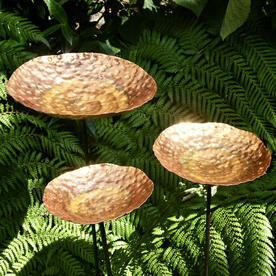 These copper dishes make the most stunning garden art for a number of garden sizes, or styles. For prairie style gardens, use them grouped together amongst deep wispy, copper grasses, and tall dusty Verbena Bonariensis. 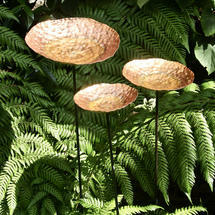 Or, for a splash of light, they look equally stunning in deep, green, lush contemporary settings. But, if the only space you have is a small, urban space, try the copper dishes pushed firmly in to a heavy planter, planted up with tall grasses or ferns. 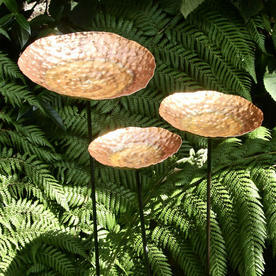 Also, see the Copper Arum Lily Sculptures which work well with the Beaten Copper Dish Sculptures. Set of 3 different sizes of copper dishes with a beaten finish, on a powder-coated steel pole. 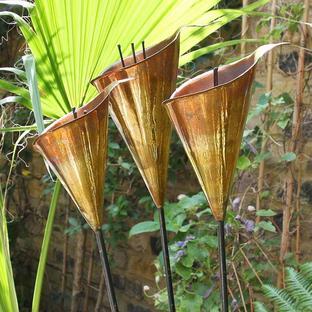 The poles and dishes are in 3 sizes. 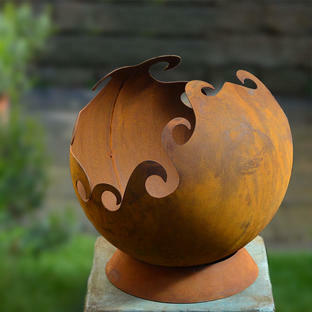 Push the pole into a border, or heavy planter.